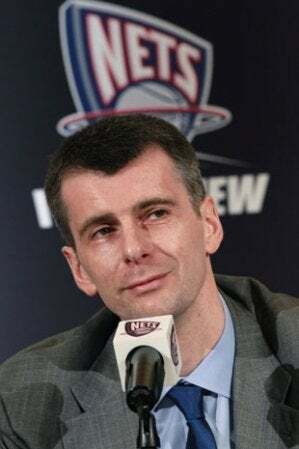 Mikhail Prokhorov promised to be a hands-on owner of the Nets, but that was before he committed to running a country of 142 million people. Prokhorov today announced he intends to run for President in next year's elections, challenging former President and current Prime Minister Vladimir Putin. No word on what this means for Andrei Kirilenko's future. Prokhorov's fortune and his purchase of the Nets have been built on getting in at the right time, and with anti-Putin protests sweeping Russia, the center-right Prokhorov sees the getting is good. Or it might just be more talk from a big man with big dreams—Prokhorov aborted a parliament run earlier this year, and even floated the idea of running for PM. If, against all odds, Prokhorov wins this, one thing is certain: it'll take an act of congress to make those Dwight Howard tampering charges stick.